Greetings from York to Manchester. Awesome car in outstanding condition, nice choice! any comments on the DCT? 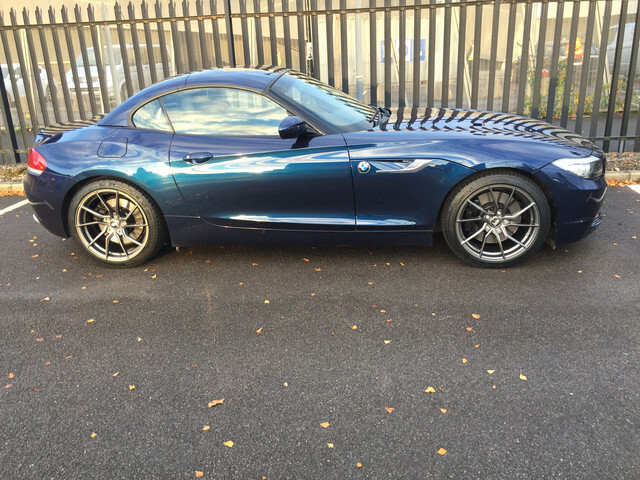 Current: Z4 Coupe 2008 Stratus Grey, cream leather, piano black dash. Hi Zee4Coop, The DCT is wonderful. When you're just milling about or stuck in traffic its great to let it just handle the gears without the clutch, and when doing some spirited driving it can change incredibly fast. Its nice to play with the flappy paddles every now and again but can't say that I've used them much. 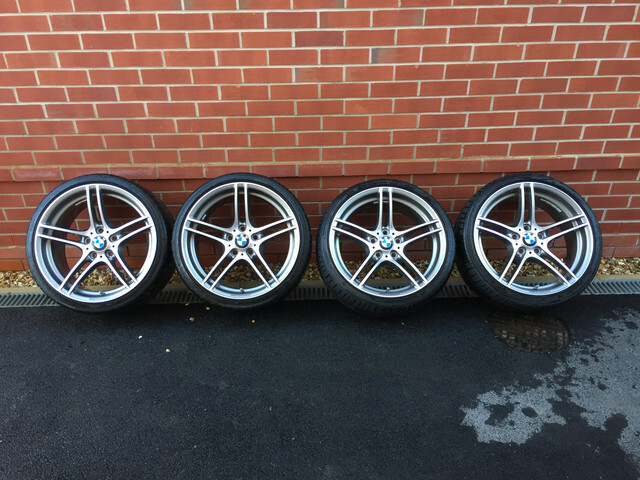 I've gone for a set of Bola B25 18" 8.5J ET30 all around, with Michelin Pilot Alpin 225/40/18 winter tyres all around. Note that the car has M adaptive suspension and experiences no rub. 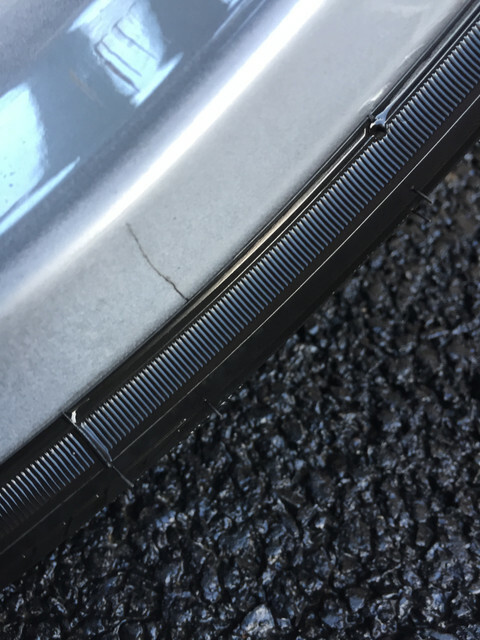 I have also noticed that the damn Bridgestone Potenza runflats have cracked one of the rear alloys Does anyone have an idea of the typical cost to repair? Last edited by Beeacon on Tue Nov 27, 2018 3:03 pm, edited 2 times in total. Hi, I paid £60 for a welded repair to my 326’s-sadly it’s no guarantee that it won’t happen again! I'm hoping that changing to non-runflats and a bigger profile for summer will help matters, but as you say its still a guessing game whether there will be another problem. Other than buying direct from BMW, that's got to be the safest way to buy a sensitively pre-owned E89. Well done and welcome. Always detailed my cars Swissol/Swisswax products and looking forward to spending a full day next spring on my Zed. Beacon,maybe worth dropping Dave1972 a pm as I don't think these alloys are that old,and may be covered by a warranty? Though I could be wrong,no had in asking? Craig, that's a great idea and one of the many perks of buying from a forum! As you say, no harm in asking (though I'm not sure whether alloys get a warranty cover). 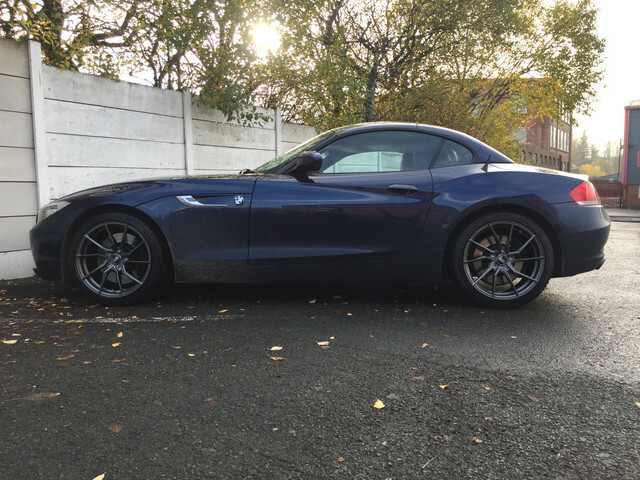 The Z4 goes in for its service this month and I was hoping for a bit of input from you guys on my choices below for service items and whether there is anything else I should consider. 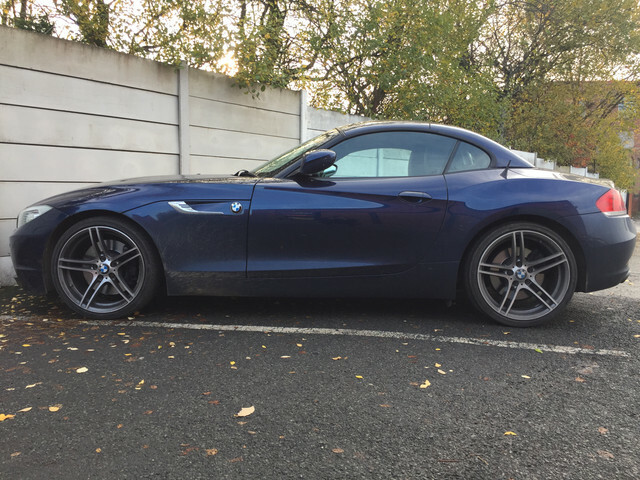 59 plate 35i DCT, adaptive M-sport suspension, remap to 370bhp, and feels just a tad underbraked (though the front brakepads are due to be replaced, and it only felt underbraked with a full car at Christmas). I'm toying with the idea of uprating the brake hoses, fluid, and pads for slightly better stopping power without going down a very expensive BBK route but haven't put enough research in yet. The car is my daily driver and will be doing spirited road driving at most, no track. I've had it for 6 faultless months and want to keep it that way. 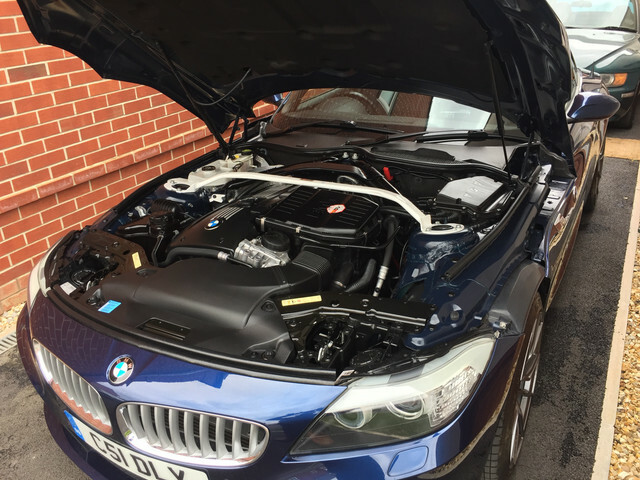 It has done 63k miles and will be going to a reputable BMW indy (Darren Wood, Stockport). Gearbox Oil - Don't F'in touch it for the DCT! According to a horror story in the sources. Regarding the brakes, I'm hoping that upgrading the pads and fluid will make a big difference, but considering braided brake hoses/lines as they're not a big expense (£25-30 for a front pair). Goodridge do a kit, and HEL will allow you build a custom one so I'd get them to design it. Last edited by Beeacon on Wed Feb 20, 2019 6:50 pm, edited 5 times in total. Welcome and well done for your perseverance, Awesome history. Only wash in cloudy conditions/late afternoon to prevent products drying onto car/streaking. 1. Prepare hose / pressure washer / products / microfibre towels / snow foam lance / snow foam / latex gloves. 2. Rinse vehicle with pressure washer (start at top and work way down). 3. Wet paper towels applied locally to bird poo and left for 5 minutes. 4. 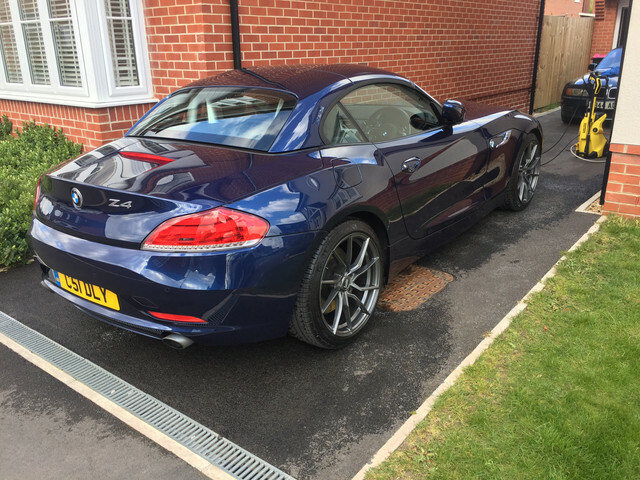 Spray bug remover (Gyeon Q2M Bug & Grime) locally to bugs on front of car, leave for 2 mins. Rinse off with pressure washer. 5. Apply snow foam (Gyeon Q2M Foam) with snow foam cannon (start at top and work way down, snow foam left on for 5mins). 6. Fill up 1 bucket with warm water & grit guard, 1 bucket with warm water and measured shampoo (25ml Gyeon Q2M Bathe+) and grit guard. 7. Rinse off snow foam. 8. Starting with the back wheels, spray tyre degreaser (Gyeon Q2M Prep) on tyres leaving for 30secs, then spray wheel cleaner with iron remover (Gyeon Q2M Iron) onto wheel face and barrel, brush tyre degreaser off tyre walls with tyre brush. 9. Use pointed wheel brush and 2 bucket method (dip in water bucket to rinse off, rubbing dirt onto guard, then into shampoo bucket) to clean barrel of each wheel, then soft bristle wheel brush to clean face of the wheel. 10. Rinse soap off wheel. 11. Repeat step 8 to 10 for each wheel. 12. Clean and refill water bucket and shampoo bucket (15-20ml Gyeon Q2M Bathe+). Have spare bucket of water waiting for when water gets low. 13. Shampoo car using microfibre mitt and 2 bucket system working top down and back to front. 15. [Quarterly] For uncoated car, spray ‘wet coat’ onto a wet car then rinse off panel by panel. No towelling needed. Do once every 3 months to top up. 16. Dry roof with microfibre towel, then windows with squeegee, wiping blade clean on microfibre towel. 17. Dry car from top down using large microfibre towel. Use small microfibre towel to dry sills, door jambs, boot jamb, bonnet jamb, wheels, exhaust. 18. [Optional] Use air blaster to blast water away from wing mirrors, sills, window corners, wheels, etc. 19. 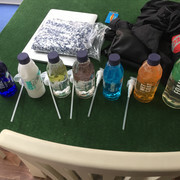 [Quarterly] Spray silica sealant (Gyeon Q2M Cure) onto small microfibre towel on one side, rub onto car, then flip over towel and buff off; panel by panel. 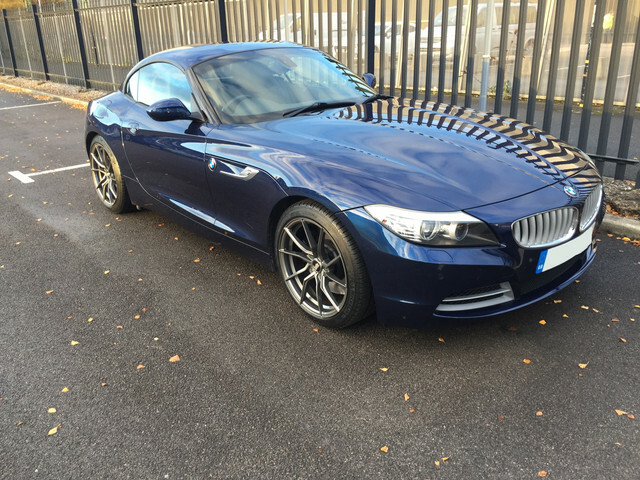 Do once every 3 months to top up/protect ceramic coat. 20. Put tyre dressing onto foam applicator pad, spread around pad with finger, then rub onto tyre walls. Buff off any excess. 21. [Every 6 Months] Apply rubber seal restorer (Sonax Gummipfleger) to all seals throughout the car, leaving to dry for 10 mins before wiping away excess with a clean microfibre towel. 22. [Every 6 Months] Apply non-stick rubber protector (Sonax Gummipfleger Stift] to window seals, wiping away excess. 23. [Every 6 Months] Spray PTFE lubricant into wing mirror gap to prevent plastic on plastic squeaking. 24. 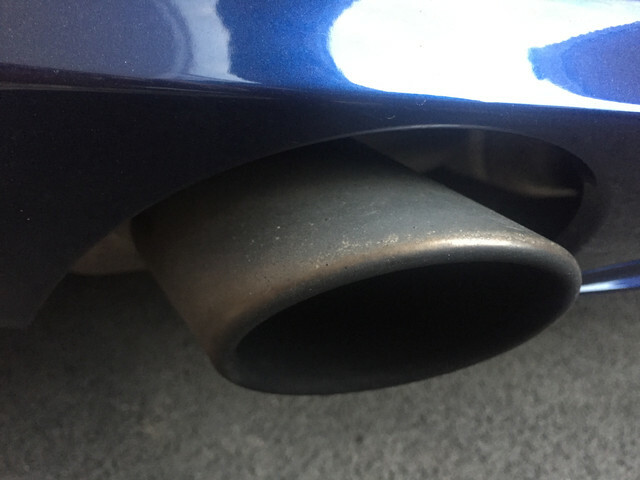 Exhaust tips [look up]. 25. Wash microfibre towels and cloths at 40degrees using a small amount of washing powder (NO fabric softener!) and allowing to dry naturally. 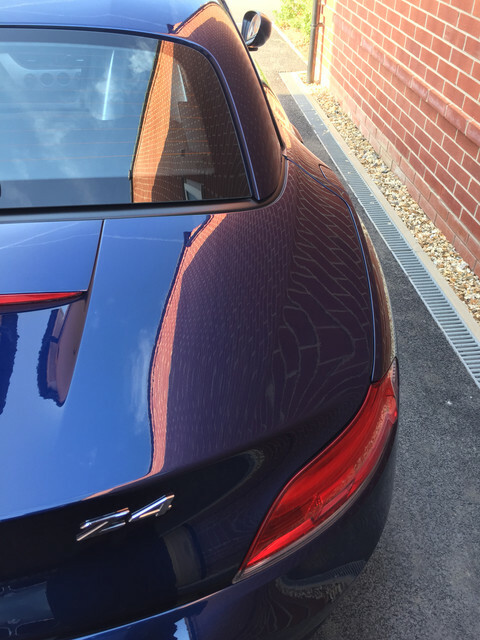 Any water spots left can be removed with a water spot remover (Gyeon Q2M Water Spot) and wiping away excess immediately with a microfibre towel to prevent spoiling of ceramic coat. Not required as car has a ceramic coating (Siramik) with 2 year protection, removing the need for wax/polish. Only wash in cloudy conditions/late afternoon to prevent products drying onto car/streaking. Remove all rubbish from inside the car. 1. Remove and vacuum the mats. 2. Spray carpet and upholstery cleaner (Auto-finesse Total) directly onto mats, then scrub with carpet and upholstery brush. 3. Blot and wipe away excess using a microfibre towel. 5. Leave to dry while doing the rest of the car. 1. For any stains apply upholstery cleaner (Auto-finesse Total) lightly onto detailing brush, apply in swirls onto affected area and the clean and blot away with a clean microfibre towel. 1. Dust interior using soft detailing brushes and vacuum cleaner. 2. Screens to be wiped with a clean microfibre cloth. 3. Vacuum interior thoroughly, moving seats back and forward. Vacuum in the folds of the seats. 4. For leather seats use a leather cleaner (Gyeon Q2M Leather Cleaner) directly onto seats and then brush with a leather brush working from top to bottom. Same for steering wheel but spray onto bristles. Wipe away excess with a clean microfibre towel. 5. For fabric seats use a carpet & upholstery cleaner (Auto-finesse Total) directly onto seats and then brush with a carpet & upholstery brush working from top to bottom. Wipe away excess with a clean microfibre towel. 6. [Every 6 Months] For protection of leather seats use a leather protectant (Gyeon Q2 Leather Coat), spray onto microfibre pad and then gently apply to leather surface, leaving to dry for 2 hours. 7. [Every 6 Months] For protection of fabric seats use a fabric protectant [look up]. 8. Use all purpose cleaner (Auto-finesse Total) on interior trim by applying to towel and rubbing trim. For scuff marks, spray APC onto a Mr Clean bar and run affected area to get rid of scuffs. Wipe away with microfibre towel. 9. Apply trim dressing to applicator pad and then brush onto trim. Good for plastics, vinyl, and rubber [look up]. 10. Use air freshener (Autoglym Autofresh) to spray into cabin. Put air con on full blast and recirculating mode, then spray into footwell to coat vents. 1. Use all purpose cleaner and microfibre towel to clean door jambs, boot edges. 1. Use Mr Clean Magic Eraser and all purpose cleaner (Auto-finesse Total), spray onto pad then wipe interior of glass. Then use isopropyl alcohol mix (Gyeon Q2M Prep) to deep clean glass using pad. Then wipe down with microfibre silk-weave cloth. 3. 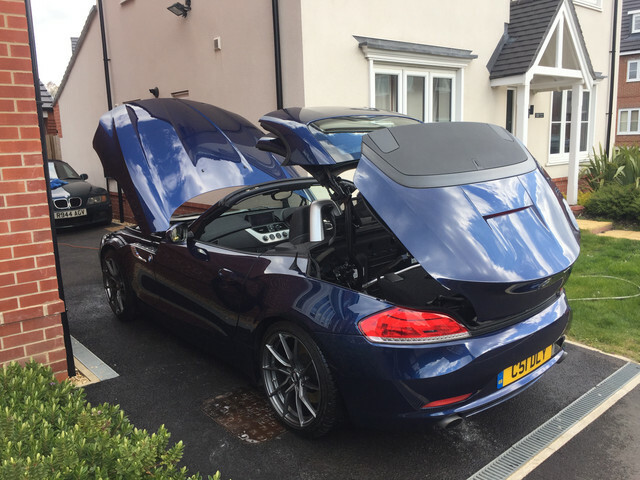 Then use premium glass cleaner (Gyeon Q2M Glass) onto microfibre waffle-weave towel and apply to window, then buff off using silk-weave cloth. 5. Can use a spray wax [look up]. 1. 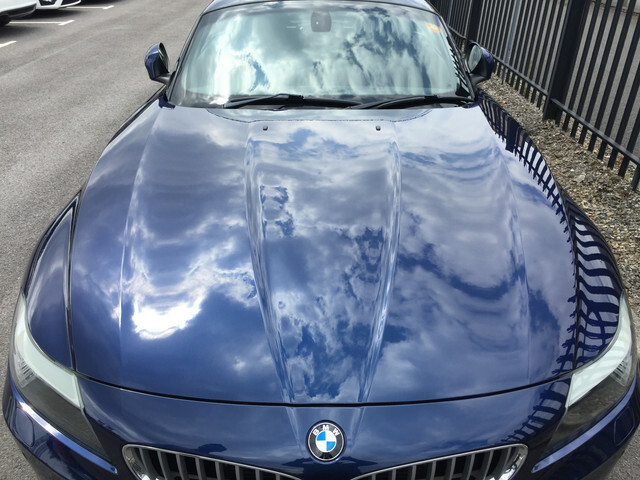 Spray glass with premium glass cleaner (Gyeon Q2M Glass) and clean using waffle-weave microfibre cloth, buffing off with a silk-weave microfibre cloth. 2. Spray glass with Isopropyl alcohol mix (Gyeon Q2M Prep) and clean using microfibre cloth. 3. Spray applicator suede cloth with anti-fog (Gyeon Q2 Fog) and apply in cross hatch pattern, leave for 3-5mins, then buff off with clean microfibre waffle-weave towel. Interior Trim Dressing - Autoglym Vinyl & Rubber Care? Wash shampoo - Gyeon Q2M Bathe Essence (Once bathe+ is finished). £8.50 polishes bliss. Last edited by Beeacon on Mon Apr 15, 2019 2:52 pm, edited 2 times in total. Crome cleaner works fine.. autosol works for me...nice car.. very jealous of the 3.5is and in the colour I want too. Welcome and enjoy!